The suffragists didn’t have the modern communication tools that we have today. Nonetheless, they used every opportunity they had to get their message out – leaflets, pamphlets, demonstrations, posters and petitions. They plastered the walls of the towns and cities where they lived with posters and banners declaring and demanding their ‘Right to vote’. We are asking your class or history group to inspire other people to engage with their democratic rights by designing your own ‘get involved with democracy’ poster, by sharing the stories of those who championed change over 100 years ago. 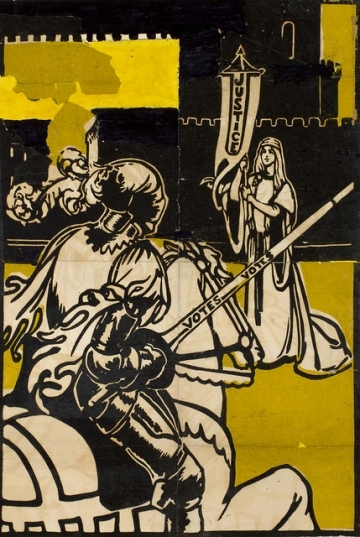 Using the stories of the women and men of the past who campaigned for women’s suffrage and often experienced abuse and imprisonment for their efforts, we are asking you to design a poster that encourages young people of today to register to vote and the people of your communities to use their vote whenever they have the opportunity to participate in elections. You must make use of the Suffrage database on this website, plus additional research to represent the story of an individual person or group from your region as an inspiration for today. Alternatively, you can find out more about the variety of local and national suffragist and suffragette campaigning groups, to explore the different people who worked together across regions to campaign, and share their story in some way. 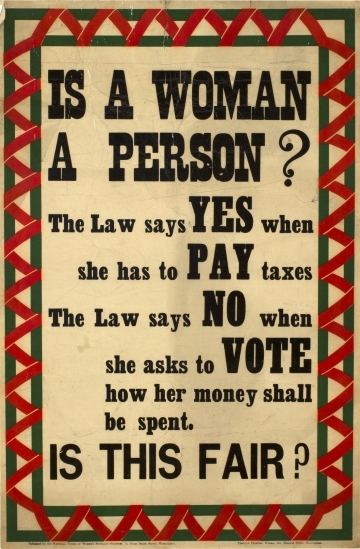 The winning poster will be published by the HA and used as part of the suffragist materials and promotions. The poster should be suitable for publication at A2 size, although entries can be submitted at A4 or A3 size. The entries can be sent via email or by post (although we will cannot return any original artwork). All entries must be submitted by a teacher or group leader who is a registered user on the Suffrage Resources website (registration is free, via https://www.suffrageresources.org.uk/auth/register). A single pupil or a group/class effort can be submitted. There can be no more than 5 entries from a single class or school club. We suggest that if a whole class is designing posters, that an internal competition to decide which 5 entries will be forwarded for the competition is held first. Informal education groups such as The Guides, Scouts , Cadet or youth groups are welcome to enter. Schools from England, Wales, Scotland and Northern Ireland are welcome to enter. Any entry may be displayed in HA materials and on the website. First prize: Publication of the winning poster, £30 book token and one year HA membership for the school (or equivalent). Runners up will receive HA goody bags plus a £10 book token.